We reduce our carbon footprint by recycling and reusing our containers! We deliver directly to your doorstep and require our clients to leave a cooler outside. Because we are a Macros nutrition based professional prep and delivery program, all portions may vary based on your individual needs. Monday, Tuesday, Wednesday & Thursday (for 20 meal plan). What started out as a personal desire for quality fast healthy food options, has turned into a local fitness and clean eating staple. We take great pride in offering only the freshest organic foods and maintaining five-start quality ratings. The biggest gap in fitness, weight loss/gain and athletics are the foods we eat. When trying to stay on track, it's nice to have somewhere to go that supports your goals and satisfy your taste buds. Also bringing to you a monthly cooking class, private by reservation, EAT CLEAN 101. This class will introduce basics and essentials including hands on experience of "How to" run your kitchen at home. As most people are aware, the DLRP has really worked diligently to bring various festivals and display cultures. Come out and enjoy the sounds of local singers, poets, songwriters, and entertainers. Take a walk through the farmers markets. As a small, local, family business ourselves, we like to help promote local charities, which is why we participate with Pet Rescues, Health Awareness and working to end Hunger in Arkansas. Please ask us how you can help. Get involved, foster a pet, donate and share with others. Can't decide what to get for someone as a gift? 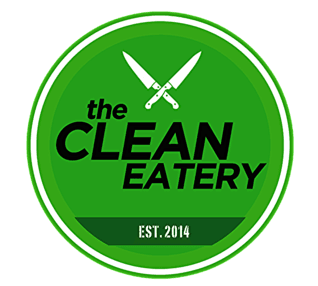 How about a Clean Eatery gift certificate? Give the gift of great, fresh food and good health. Gift certificates are set denominations. Come in today and find one that will work for you.